Your oven walls and top are entirely covered with layers of grease build-in and you have no idea how to remove all that grime? 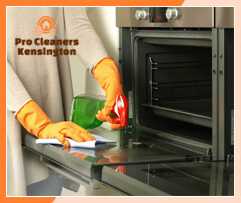 Well, here’s some good news for you – Pro Cleaners Kensington specialises in providing the best oven cleaning in SW7 Kensington. We offer great customer service at very affordable rates. In addition we employ only the best of the best cleaners and technicians – all of them are fully-insured, 100 percent reliable and very experienced when it comes to oven cleaning. What’s more, our cleaners use only environmentally safe, non-toxic products and solutions to ensure the whole procedure is safe for your family. There’s only one thing to do to rid yourself of all the grease in your oven – call us! If you want and need detailed high-quality oven cleaning, contact our company in SW7 Kensington. We can assure you we provide the best of the best oven cleaning services in the area and a myriad of loyal customers of ours will gladly confirm this as a fact. The company always strives to provide amazing results to ensure the customers are completely satisfied. You try to clean your oven and scrub off the layers of grease built on its walls and top but it takes you hours to achieve even the slightest results? And what makes it worse, in less than a week your oven is back to its original state – all covered in nasty grime. Don’t worry, our company can offer you a great solution! We employ a number of experienced and hard-working cleaners who can clean your oven in just a few hours. Our cooker cleaners in Kensington London pay close attention even to the smallest details. As each oven is unique they use different methods and solutions for best results. The team begins by taking the appliance apart so that each single part of the oven is thoroughly cleaned. This includes the racks, the frames, the oven door and walls as well as the burning tops. Even your oven knobs will be shiny and spotless. Don’t settle for grease and grime. Don’t hurry to the appliance store to buy a new oven. Just call us and book our oven cleaning services in SW7 Kensington and you won’t regret it!